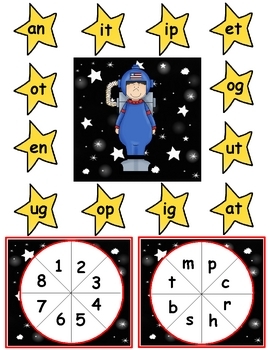 In this center, students will spin the spinner and move around the board to make short vowel words. 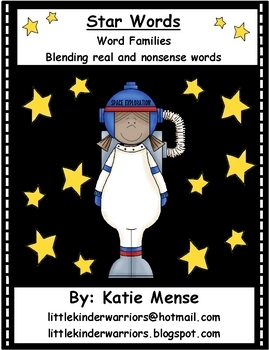 Each time they land on a star word ending, they will spin the beginning sound spinner and blend the sounds together to build a real(from Earth) or nonsense word (word from Mars). 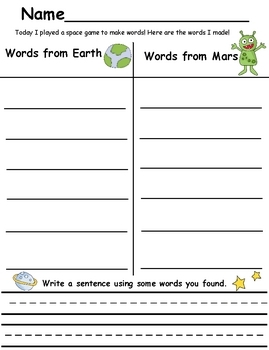 A recording sheet is provided to record their words on.